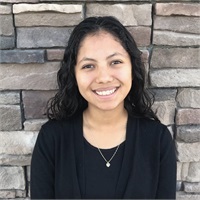 Lidia joined ISU – The Stratton Agency in 2018 as a member of the Commercial and Farm Department. Lidia was raised in Hermiston, Oregon. She graduated from Hermiston High School with a program of study in Accounting and Marketing. She received the Outstanding Business Leader award for the class of 2018 and was a Breakfast of Champions recipient. Lidia served as a DECA officer and continues to volunteer her time as a DECA alumni. In her free time, Lidia enjoys reading, hiking, and spending time with her family and friends.